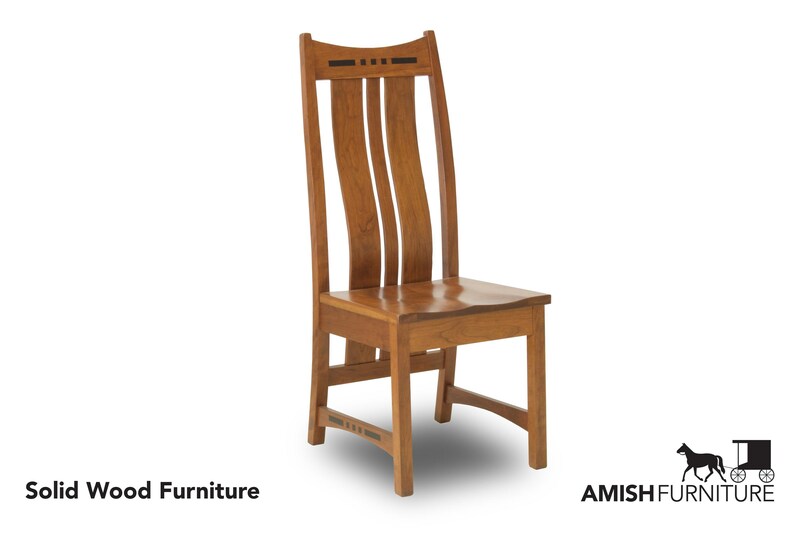 Hand-crafted in the Amish tradition, this side chair offers beautiful wood craftsmanship and classic mission style. 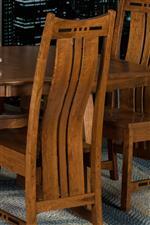 The steam-bent chair back shows subtle movement, while Ebony inlays provide stunning detail. Best of all, the chair can be customized. 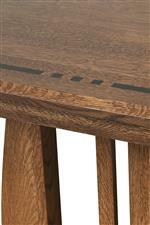 Pick from nine solid wood species and hundreds of finish combinations to create the perfect side chair for your dining space. The Hayworth Dining Side Chair with Shaped Splat Back by Amish Impressions by Fusion Designs at Ruby Gordon Home in the Rochester, Henrietta, Greece, Monroe County, New York area. Product availability may vary. Contact us for the most current availability on this product.